Instantly Change The Way You Remove Window Film & Vinyl Wrap! 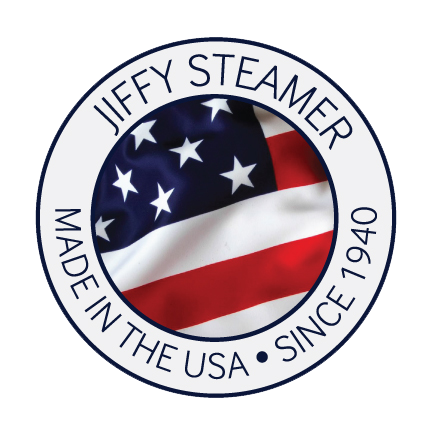 Jiffy® Steamer would like to introduce another industry first...the SteamBlade®. The SteamBlade is an innovative product designed to simplify the removal of window tint, window film, vinyl wrap and lettering. With the swipe of the SteamBlade, the warm, moist steam quickly and safely unbinds the glue from the window, simplifying this once tedious task. The SteamBlade will allow you to remove window tint, window film, vinyl wrap or lettering in a fraction of the time of conventional methods. Put down the razor and reach for the Steam. Do you find it difficult and time-consuming to remove window tint, window film, vinyl wrap and lettering? The days of removing window tint, window film, vinyl wrap or lettering with a razor blade, ammonia mixture or hoping for a sunny day to heat up the tint for easier removal are a thing of the past. The SteamBlade removes window tint, window film, vinyl wrap and lettering quickly, easily and safely. Use this new-found extra time to serve more customers, take on new jobs or reduce overhead. Your bottom line will thank you for it! Are you turning away business due to the difficult task of removing old film, wrap or lettering? Removing window tint, window film, vinyl wrap or lettering by conventional means is often a time-consuming, tedious and frustrating task. The SteamBlade will not only reduce the time spent per vehicle, but will also leave behind less residue and decrease the risk of damaging the window or defrost lines. The SteamBlade is a tool that no tint shop should be without! We calculated the Total Annual Savings by taking the industry cost ($67.50) and subtract the industry cost with SteamBlade ($35.25). We then take that result and multiply it by the amount of vehicles per month and multiply that by 12.